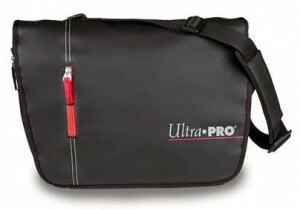 This December Ultra Pro is releasing a messenger-style bag designed with the CCG player in mind. I’m actually not to sure about this one, and would really like to see one before I make an final calls on whether or not this bag would suit me. At $80, that’s a big investment.